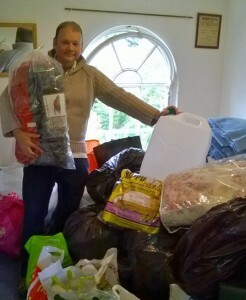 We als o collected much needed items (i.e. warm clothing, waterproofs) for refugees in the camps at Calais. Promote Fairtrade during Fairtrade fortnight and through other activities where possible. 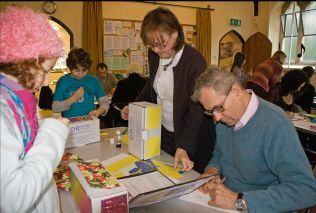 Filling shoe-boxes with gifts to be sent to Eastern Europe, via the Rotary club scheme. Supporting local Food banks at our Harvest services. 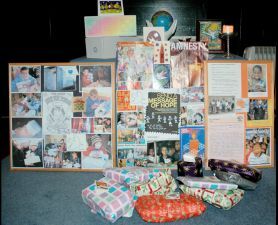 Making Christmas gift boxes for disadvantaged families. Fairtrade – Each year we hold special Family services to mark Fairtrade Fortnight in February, after which we enjoy sharing food made with Fairtrade & ethically sourced ingredients.